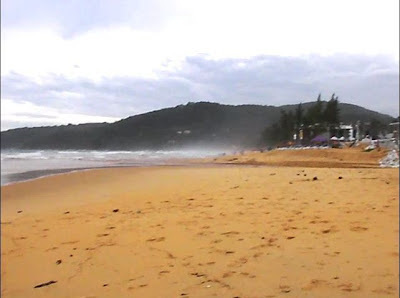 Karon beach at Patak West Road, Phuket Thailand. 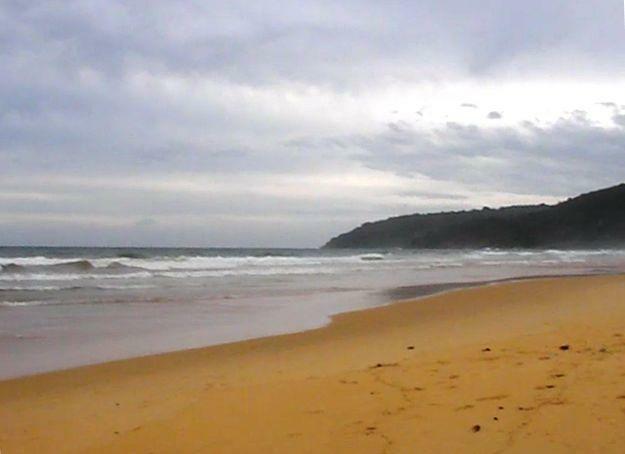 It was cloudy after rain, but scenery still looks beautiful. 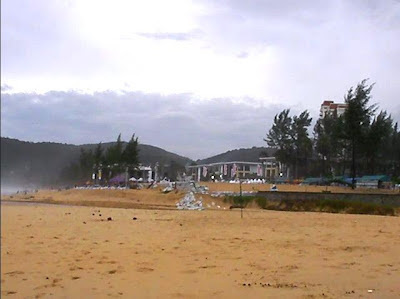 This beach was hit by great tsunami in 2004 caused by undersea earthquake of Indian Ocean. 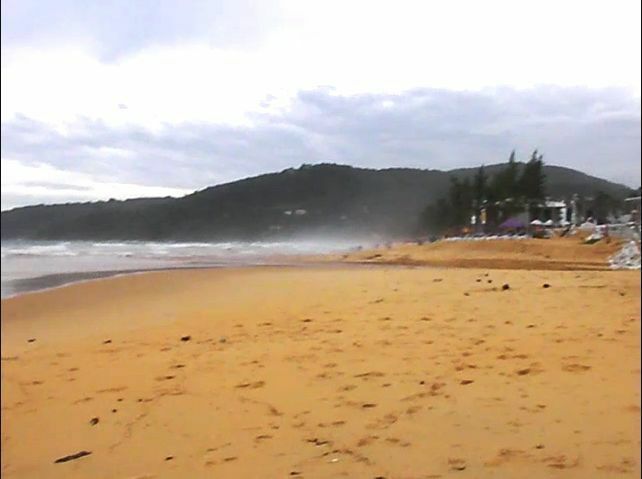 Karon is one of Phuket's long beaches, a wide variety of restaurants, shopping bazaars, hotels, resorts, etc. GPS coordinates N 7.843473 , E 98.293739 . Lovely white golden sand beach and clear blue water. 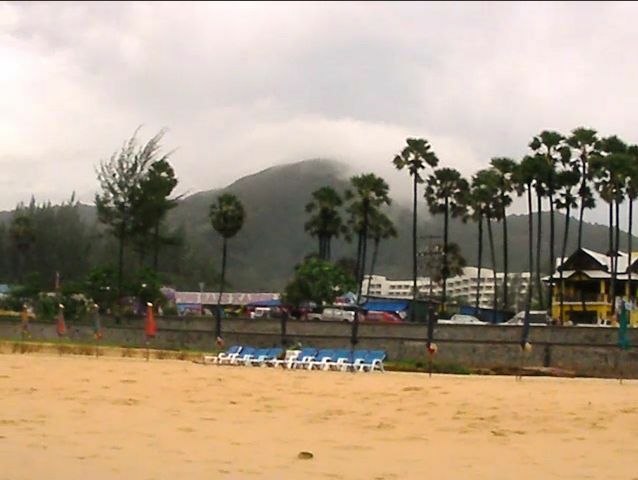 In photo below is shown some cars at Patak West road, there is an hotel at background. Shown also blue beach chairs, umbrellas were already removed as it was raining before.